We move into 2017 with renewed hope amidst uncertainty in India relating to the post demonetization impact in the economy and globally relating to what policy stands are taken by the newly elected US President Donald Trump who assumed office on 20th January 2017. None the less we remain optimistic of Indian economic growth with higher spending on rural/agricultural economy & infrastructure as announced in the budget on 1st February 2017 to overcome the short term shocks of demonetization & expected GST implementation from 1st July 2017. The key to market performance would lie in the revival in corporate profitability. Departing from the tradition of presenting the Union Budget on the last working day of February, the government presented the budget on 1st February. Sentiments are week & H2FY17 results could be subdued. Another key determinant of market trajectory from here on would be the implementation of the GST Bill. Some of the finer points have to be ironed out & it will miss the April deadline & is now expected to be implemented by July 2017. We remain positive on PSU Banks and metals & mining sector over the next year. This is a good time to consolidate your holdings for the long term. Donald Trump has just assumed office and any change in policy stance & decisions taken will be critical to how markets behave in the near future, but being a businessman himself he is unlikely to take any decisions which could have a negative economic outcome. Recovery in commodity prices also indicates towards an economic recovery globally. The implementation of the GST Bill is just a matter of time as it is likely to be beneficial to all parties & states, not only the central government. Low inflation and declining interest rate augers well for India. Declining bank interest rates, gold prices & subdued real estate market post demonetization augers well for equities and makes it an attractive asset class. 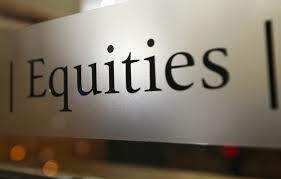 Thus we feel this is a good time to consolidate your holdings in equities for the next up move in the stock markets.